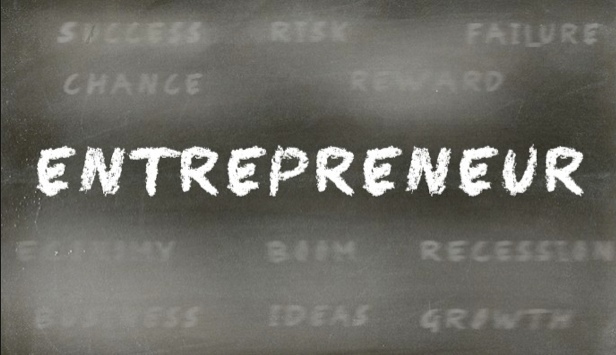 Are You an Entrepreneur? Defining Questions You Must Answer For Yourself! If you are reading this then you’ve thought about or are engaging in an entrepreneurial pursuit. Are you the “type” of person who sees an opportunity, seizes it, monetizes it repeatedly? Or, is this your very first idea….and you’re doing it in the safety of an existing 8-5, steady pay-check kind of atmosphere? Either way…you ARE an entrepreneur! How do I know? I am one! Want to know what we have in common? Read on! What do you need to become an entrepreneur? – Well, you need an idea (a feasible one or even an outrageous one) and it really helps a lot if you are passionate about it – it raises the fun quotient! – Do you have the personal integrity and discipline to do the work necessary in the early years or is lack of external structure (too much flexibility) going to cause you to stumble and risk losing your dream of being a successful business owner? – Are you a risk taker? – Do you have an informal Board of Directors (other successful business owners, a strong network of outside experts/guides and mentors) you can turn to for information, validation and encouragement? – Do you have a strong desire to succeed and the resiliency to face obstacles, finding creative ways to overcome and persevere? You are your own dream maker and breaker! You alone must decide your commitment to the adventure of starting and running your own business. Help and encouragement from people you respect is one very often overlooked key to keeping your attitude in check. It is easy to let the ones in your life who have never taken a risk, project their insecurities upon you and increase your anxiety. Try to stay in contact, daily if necessary at first, with others who share your excitement and have sound judgement. Their friendly support and belief in you will be the strength you need to steel your courage for the scary, exhilarating and limitless opportunities that await you! Question: What other traits do you think an entrepreneur must possess to succeed? Post your comments below. Great post. I’m looking forward to connecting with you more. I’m on the quest to move away from corporate America, and taking small steps forward. You CAN do it. I tell you it’s easier to start a company when you can not stress over the bills, so in some cases, you may want to consider Jon Acuff’s 5 am club. Spend that precious morning time when you are MOST inspired to get something rolling….then go give your work all you can during the day and keep the income coming for a time. You will be surprised how much you can do in a short time! Keep me posted on your progress and let me know if you need any encouragement or a bit of direction. Beautiful daughter. Here is another one of my quotes to inspire rryour followers – Talk soon Amy.